 A Mass to commemorate Christians who have died in persecution in the Middle East and North Africa will be held in the newly refurbished Basilica in Knock on Saturday, May 2nd at three o’clock. Prayers will be offered for all those still suffering religious persecution. 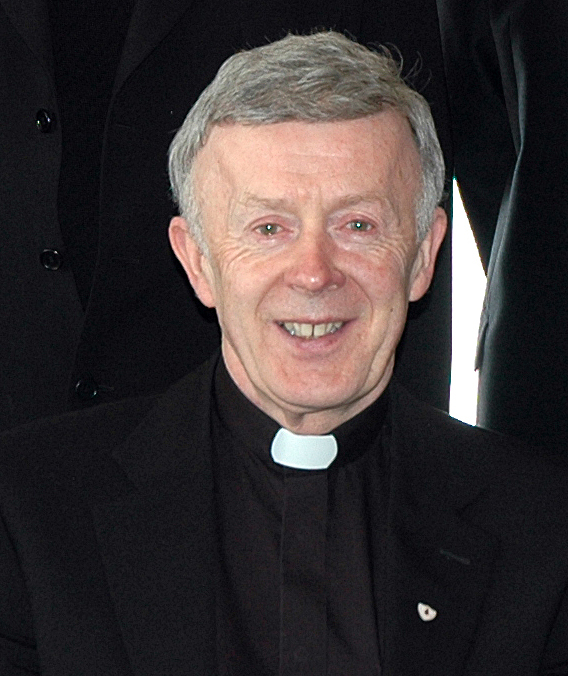 The Mass will be celebrated by the Archbishop of Tuam, Dr Michael Neary. Archbishop Neary said, “There has been an appalling lack of protest about the ongoing and severe persecution being faced by Christian communities in the Middle East and North Africa. In some cases, this persecution has taken the form of ethnic cleansing that has seen Christian communities, some of whom have existed for almost two millennia, being driven from their lands through violence, intimidation and murder. “It is essential that we uphold our fellow Christians through prayer and that we seek to raise awareness of their plight in our national media. The aim must be to prompt political action to bring this persecution to a halt. “Ireland has a long and proud history of peacekeeping and charitable work throughout the Middle East and Africa. Our government can exercise a moral leadership in attempting to bring the EU’s focus to bear on this issue. “This persecution is now part of a wider problem that has resulted in one of the greatest refugee crisis since the Second World War. The Mediterranean has been turned into the world’s largest graveyard, with thousands of our fellow human beings, men, women and children, drowning in the face of what is still a significant public and political indifference to their plight. Persecution against Christian is intensifying. Only in the last week, there was the brutal murder of at least 30 Ethiopian Christians in Libya. A couple of months ago, 21 Coptic Christians were similarly beheaded. The persecution of Christians has been ongoing for well over a decade. In 2003, prior to the US and allied invasion, there were over 1.5 million Christians in Iraq: in just over a decade this figure has fallen below 400,000. Churches that date from 200 A.D. have been destroyed. The city of Mosul, one of the oldest Christian cities in the world, once had a Christian population of 60,000. Christians there were faced with the choice of forced conversion, death or to flee from their homes. The population fell to 3,000 before the last of that community were driven out last year. Since the start of the civil war in Syria, almost half of the Christian population has now fled. The series of revolutions in Egypt has seen Coptic Christians murdered and their Churches destroyed. The persecution extends beyond the Middle East. The Pew Institute in Washington has found that Christians face varying degrees of persecution in 139 countries. The International Society for Human Rights has found that 80% of religious discrimination in the world today is directed at Christians. Church burnings and violence towards Christians, including imprisonment, torture and murder, is occurring in countries as diverse as Nigeria, India, Pakistan, North Korea, Saudi Arabia, Yemen, Somalia and China. The most violent event so far this century was the murder of 500 Christians in Orissa, India, who were hacked to death with machetes. 50,000 were made homeless. The former Chief Rabbi of the United Kingdom, Jonathan Sacks, in the House of Lords last year, described the persecution of Christians in the Middle East as “one of the crimes against humanity of our time”. Comparing it to the pogroms of the Jewish people in Europe, he said that he was “appalled at the lack of protest it has evoked”. Since then, the situation of Christians in the lands the Faith first found fertile soil in has become increasingly dire, but the silence of the world in the face of their suffering, and in the face of the religious and ethnic cleansing that has occurred, has continued on. If anything, the persecution has spread to new lands as ISIS, and other Islamic extremists, extend their influence. Only in the last week, we have seen the brutal murder of at least 30 Ethiopian Christians in Libya. A couple of months ago, 21 Coptic Christians were similarly beheaded and, as with the Ethiopians, videos of their deaths were released in the hope of spreading fear into the Christian communities of the Middle East and North Africa. The persecution of Christians has been ongoing for well over a decade. In 2003, prior to the US and allied invasion, there were over 1.5 million Christians in Iraq: in just over a decade this figure has fallen below 400,000. These Christian communities have existed in this area since the birth of the Faith, and they celebrate their liturgies in Aramaic, the very language Our Lord spoke. Churches that date from 200 A.D. have been destroyed. In the face of all of the above, there has, as lord Sacks referred to, been an appalling lack of protest. Why? One reason lies in the rising secularism of the West, which is consciously trying to shrug off what it sees as the unwelcome past hegemony of Christianity in its own lands. This has given rise to an awkwardness in expressing concern for Christians elsewhere, even where those Christians are far from hegemonic, and are in fact among the poorest of the poor. Coupled with this, is a discomfort at showing favouritism to Christians. This feeling is shared by many Christians as such favouritism would not sit well with Christian morality. All people, of all faiths and none, are equally made in the image and likeness of God and share a common dignity in that regard. However, where Christians are suffering, this cannot allow us to ignore that fact or to fail to help them. Where other minority groups, such as the Yazidis in Iraq, are suffering then they too have a moral claim to our aid. However, Christians do have a particular duty to uphold through prayer and penance those those who are joined to us by a common Baptism. This duty applies to all Christians, regardless of whether or not they are in full communion with the Catholic Church. We must pray, in particular, for those who face martyrdom: that they may be faithful until the end, and that they be rewarded with the Martyr’s Glorious Crown. The Church has often grown in soil made fertile by the blood of martyrs and by the power of their witness. To all who suffer religious persecution we owe a moral duty to make donations to ease their suffering and to support them. We should also work to raise awareness of their suffering within our communities and with our political leaders. We have a duty too, to those who persecute others. We must show through Christian charity and love for those who would be our enemies, that though they kill for their God, our God died for us and calls them also to repentance and offers them forgiveness. We have a duty to love them and to seek their salvation, even if we must oppose them in order to protect others. Finally, much of this persecution and suffering has resulted in a great movement of people. They are crossing deserts, through lands ravaged by war, and crossing seas in leaking boats to seek safety. We cannot harden our hearts to their suffering or to the vast graveyard that the Mediterranean is becoming. There is little point demanding action from our political leaders, if we are unwilling to show hospitality of heart to the strangers that would seek haven among us. Our brothers and sisters are lying battered and bruised, almost literally on the road to Jericho: we cannot pass by. Previous articleHappy Good Shepherd Sunday!